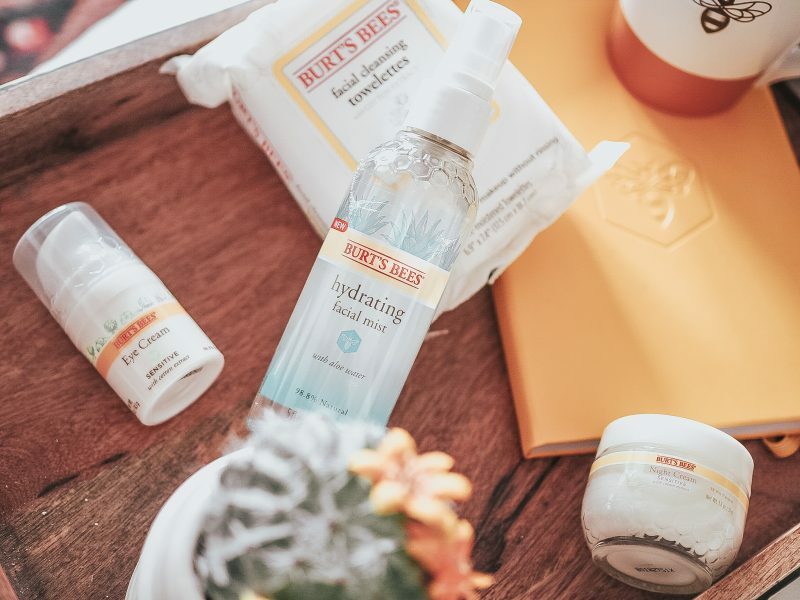 Today I want to share three ways I relax featuring a few products I am loving from Burt’s Bees. 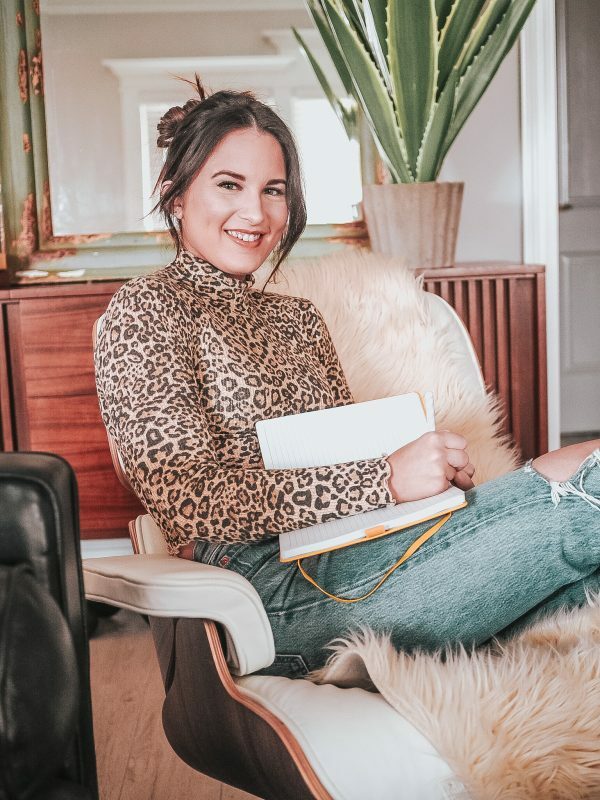 Being a stay at home mom while also running my business from home, I have realized now more than ever that my time is very valuable. If I actually want that time to relax I have to schedule it in or something else will always be deemed more important. But, a happy and anxiety free mom and wife makes for a much better home life. Before jumping in to my three ways to relax I wanted to mention that these can be done any time of the day. My favorite time of day to relax is at night when the kids are in bed, but sometimes I have to do it in the morning before they wake up. This may sound silly, but I literally cannot function without washing my face. First thing in the morning I have to, at the very least, use my Burt’s Bees Sensitive Skin Facial Cleansing Towelettes. These wipes really help to cleanse your face of any dirt or oils from the night before. I then apply my toner, then follow up with my under eye cream and moisturizer. So, this is my first step to unwind and relax. I would also start with this step if I was having my “me” time at night. There is just something about having a clean face that makes me feel more relaxed. Maybe because these Burt’s Bees products feel like I am giving my face it’s very own spa experience. They smell and feel incredible! So, hot lemon water was something I never thought I could get use to. 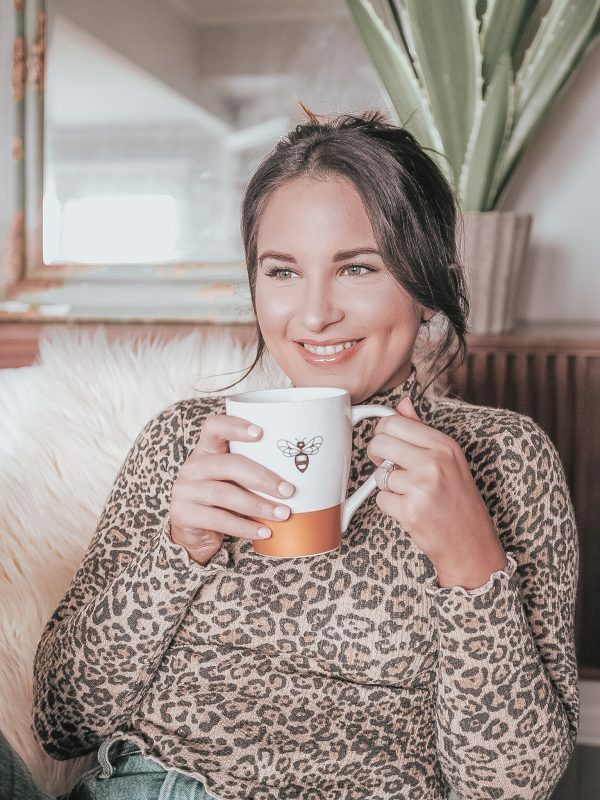 I am a coffee girl, but I started noticing the more coffee I drank the higher my anxiety. My older sister drinks hot lemon water everyday. I use to make fun of her for it because she would crave it. While she drank it she acted like it was so amazing, but I also noticed she was very relaxed and always has amazing skin. I decided to give it a try. Hot lemon water is so amazing for your skin! It brightens and hydrates; I have also noticed my skin has a glow to it now! 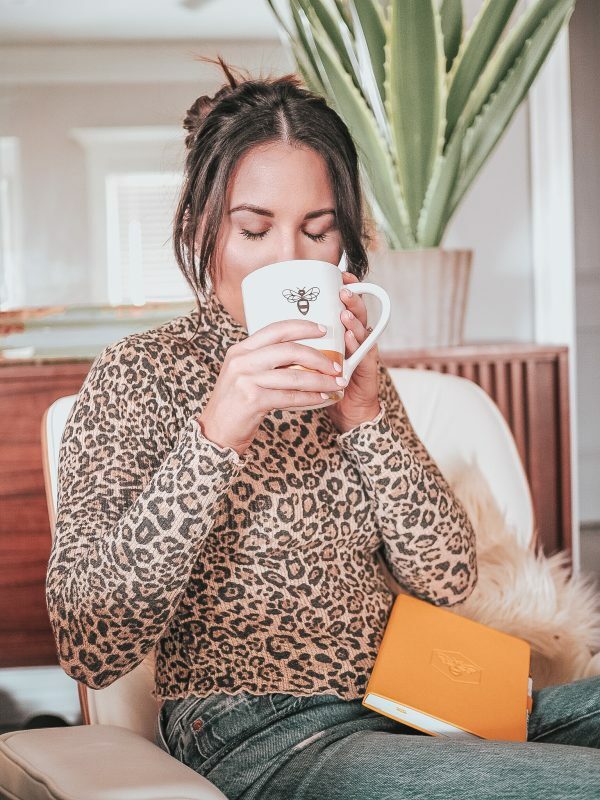 Yes, I do still drink coffee daily, but when I’m craving a hot drink I reach for a little cup of hot lemon water to relax and destress. Do you ever feel like you have so many thoughts flying through your head and never have the time to write them down? 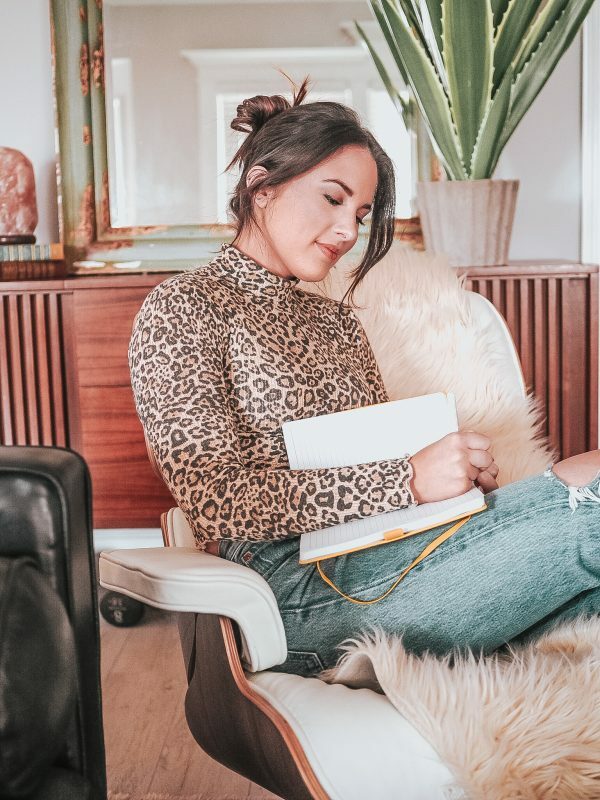 There is something about getting all of my thoughts, dreams, and ideas on paper that helps me relax. I usually have all of these ideas right when I wake up or as I am going to sleep. Journaling helps to quiet my mind of the daily distractions and focus on my own thoughts. 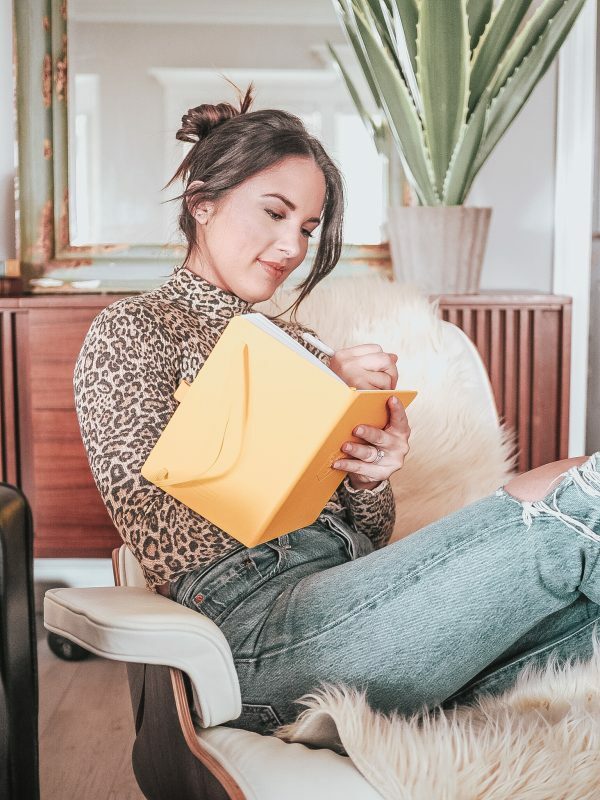 What better way to step up this relaxing time journaling than with a Burt’s Bees Detoxifying Clay face Mask? I love knowing that I am achieving beautiful skin while also getting all of my thoughts down on paper. So, taking that time in the morning or night to think and journal has been so helpful and is honestly incredibly relaxing. Stress and anxiety can cause extreme skin issues. I remember while Michael was in school I was so stressed and my skin really took a toll. Once I started to see the light at the end of the tunnel and learn how to manage that stress my skin changed completely. 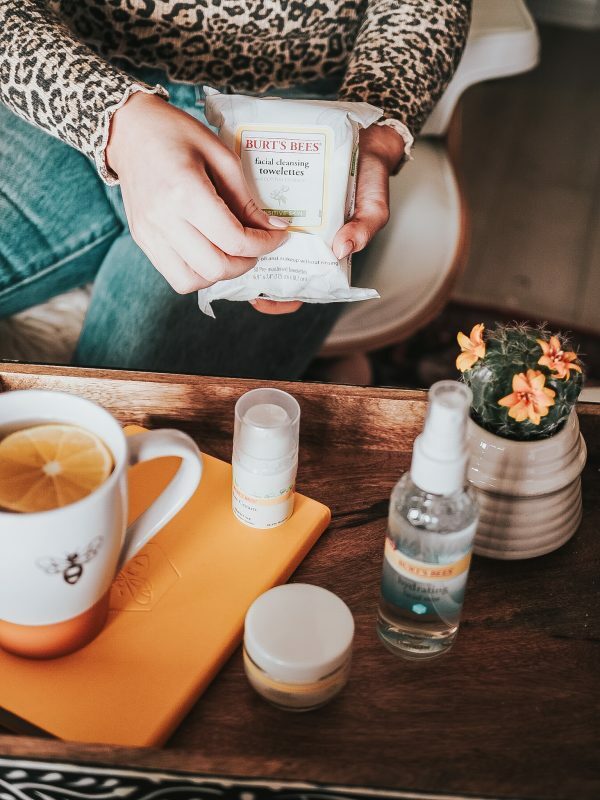 #SelfCareWithBurts has been a huge part in my skincare and self care journey and has helped me live a stress free life. 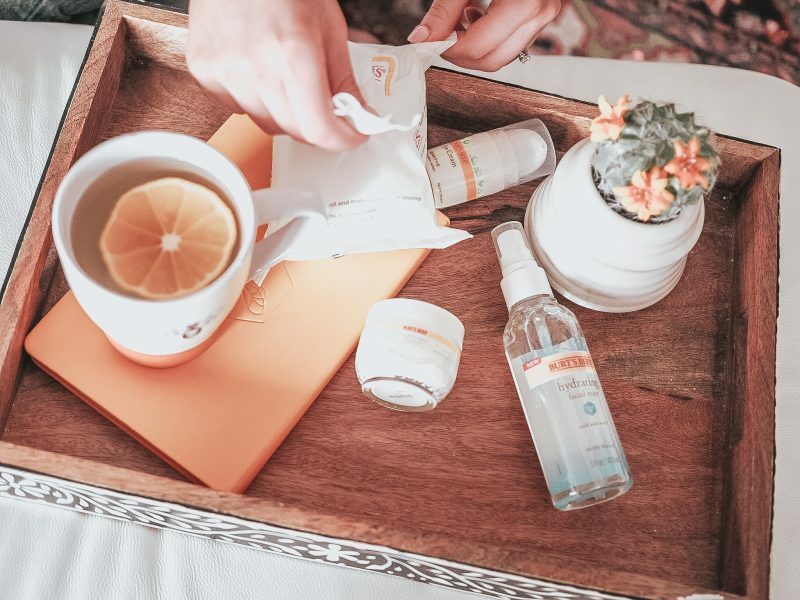 To recap, my three ways to relax starts with a clean face using my favorite Burt’s Bees products, enjoy a cup of hot lemon water, and lastly quieting my mind to journal while wearing a relaxing Burt’s Bees face mask. What are some ways that you relax? I’d love to hear them!